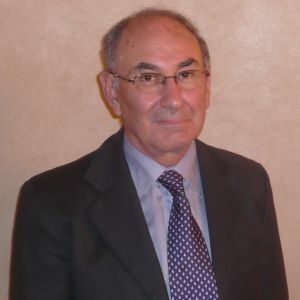 Professor Samuel Menahem is a Consultant Paediatrician with extensive experience in General Paediatrics and Neonatology. He has a subspecialty of Paediatric Cardiology extending from the foetus to the adult with congenital heart disease. Many of his patients have stayed with him since infancy into adult life including a number of women with congenital heart disease who he has successfully cared for during their pregnancies. Professor Menahem has held Consultant appointments at the Royal Children’s Hospital both as a Physician and Cardiologist, and at Monash Medical Centre as a Consultant Paediatrician and Paediatric Cardiologist. He has previously headed the General Paediatric Unit and the Paediatric Cardiology Unit and was Foundation Co-Director of the Foetal Cardiac Unit at that Institution. He continues to hold consultant appointments as a Paediatrician and Cardiologist at a number of teaching and private hospitals. Professor Menahem now spends most of his time in consultant practice in Caulfield. He also consults at the Monash Medical Centre, and continues to conduct teaching clinics in Warragul, Traralgon and Horsham. Although his referral base is from the surrounding areas with a dedicated referral pattern, his reputation has extended far and wide with referrals from other parts of Melbourne, country areas and even interstate.